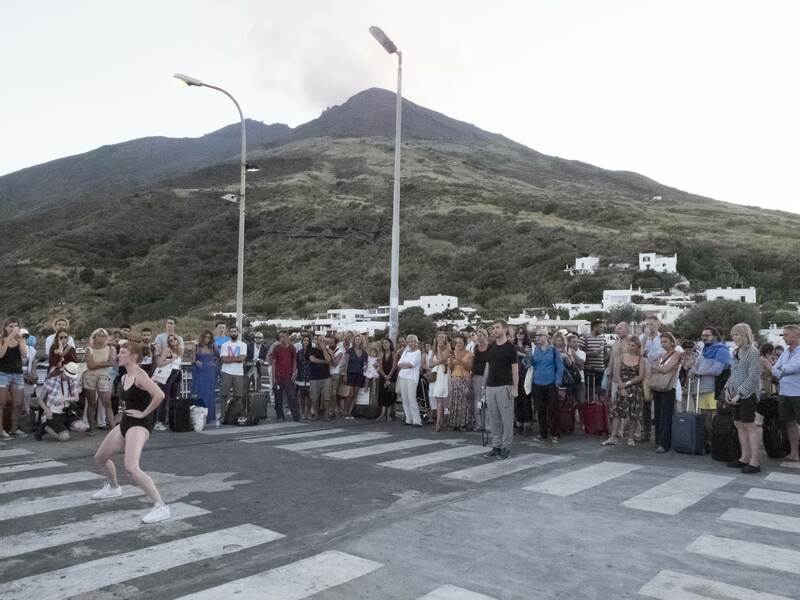 With a hour delay due to the capriciousness of the sea, we finally approached Scari, Stromboli’s mooring: a placid pier and a customary passageway for those arriving to the village from the sea. 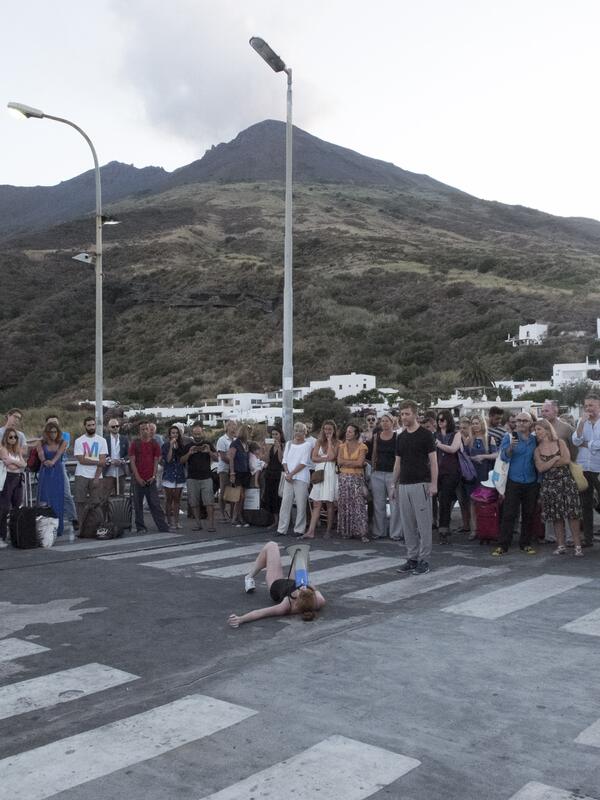 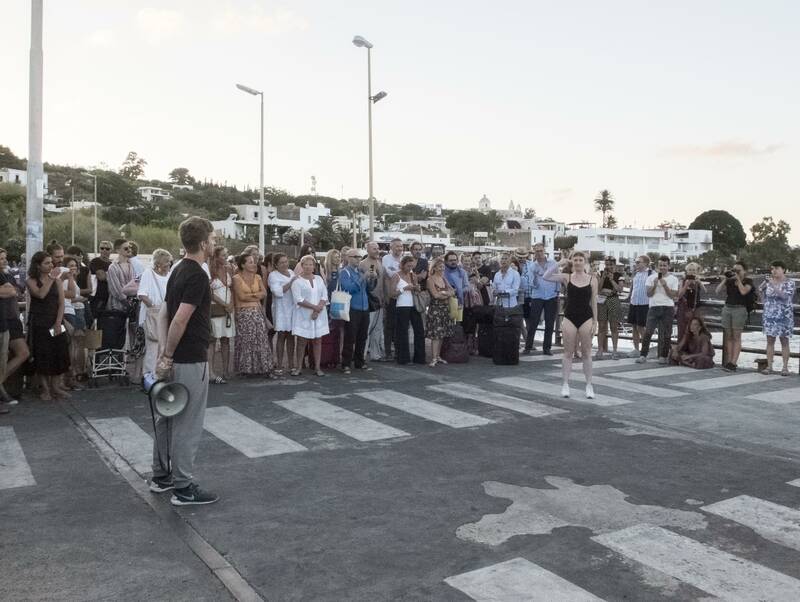 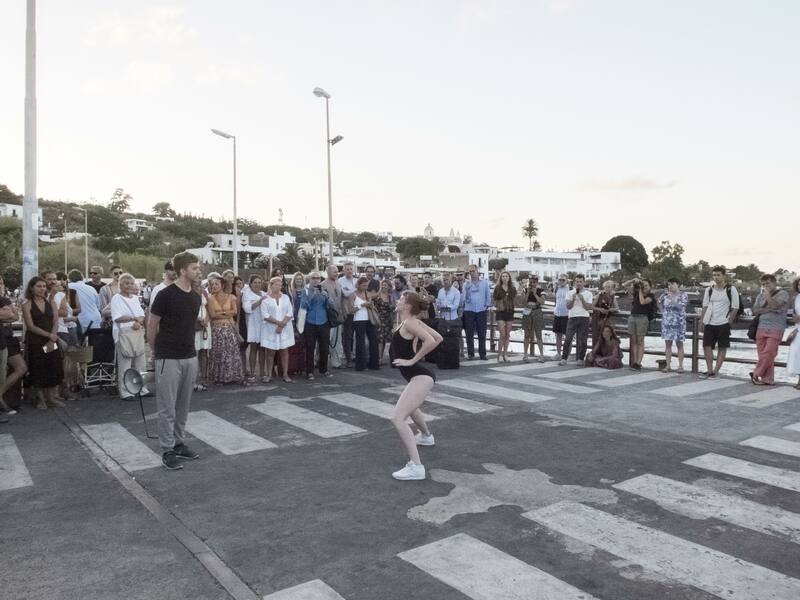 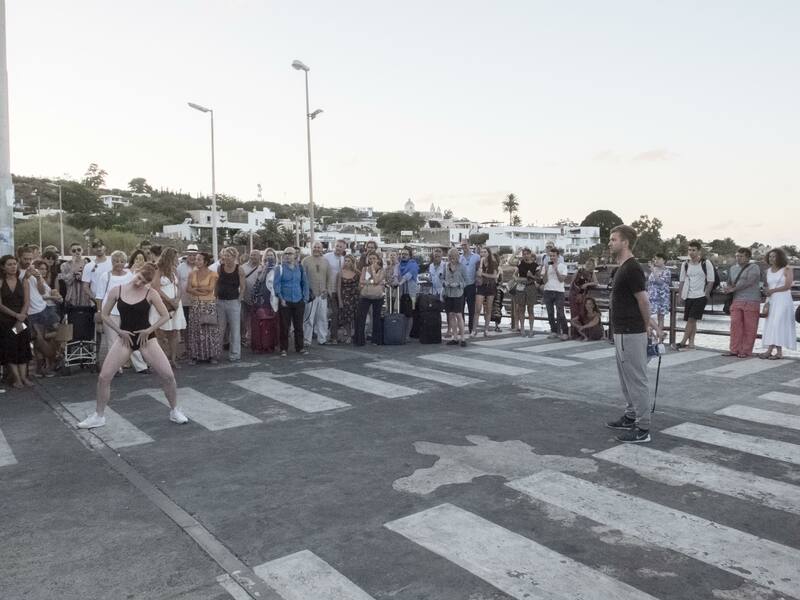 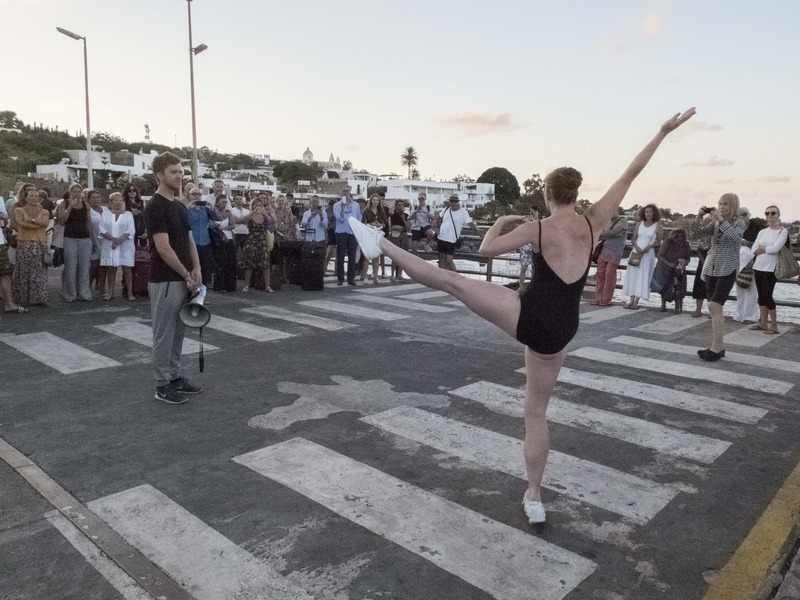 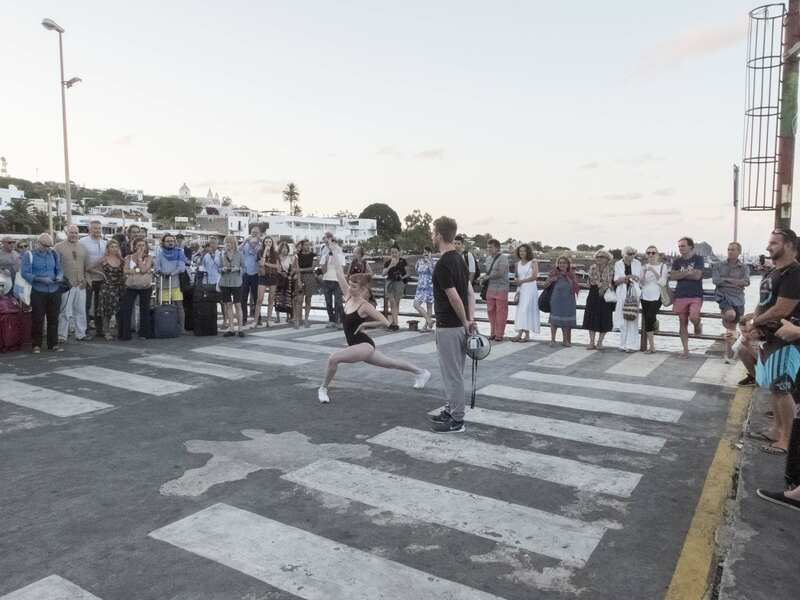 There stood performer Emma Fisher, welcoming us fully enveloped in a black leotard as Eddie Peake disembarked from the hydrofoil armed with a megaphone. 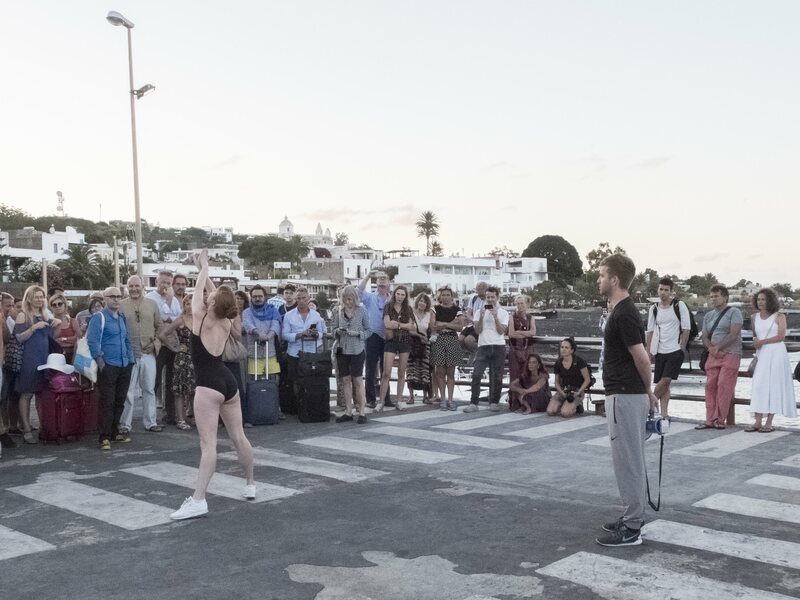 Shortly after, they performed Megaphone Duet, one of the artist’s latest works. 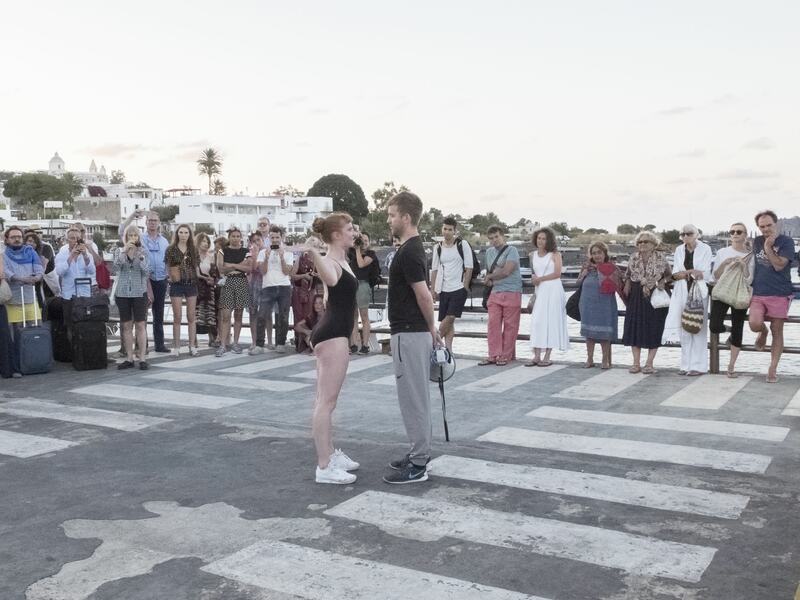 Megaphone Duet can be read as a metaphor for sexual maturity, when eroticism is aimed towards the others, even colliding in the violent clash of a couple’s dynamics, with their turmoils, fights, negotiations.